Hands down, the best way to get started with essential oils is by purchasing the Premium Starter Kit–also known as the PSK. It comes with 11 of the most commonly used oils and blends that can support every body system. It also comes with a diffuser of your choice, 2 NingXia Red packets, a sample of the Thieves Household Cleaner, and little dram sample bottles. You'll also have access to our amazing oily community to help you fall in love with your oils and help with any questions you have along the way. LET ME TELL YOU MORE ABOUT THE PSK! 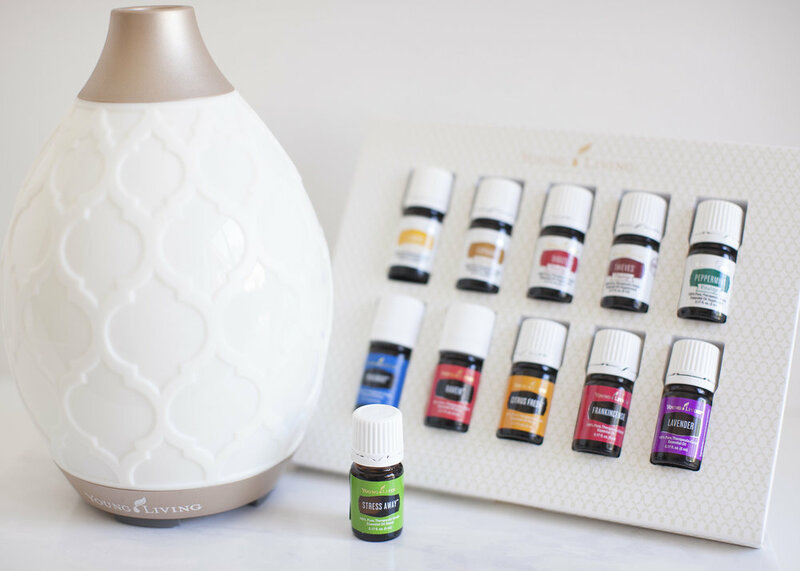 + Your Own Diffuser - Our favorite is the Desert Mist! It works as a humidifier, atomizer, air purifier and also has an optional glow setting (perfect for use as a night light!). Choose from 4 different diffusers! The price of the kit varies based on the diffuser you choose. This is the absolute BEST way to get started with essential oils. In the PSK, you will be getting 11 incredible oils, a diffuser, and tons of learning resources. It has over $340 worth of product, for only $160. Not only is it an amazing value, but you'll also become a wholesale member. And all that means is that you will get a 24% discount on everything that you purchase from here on out! You do not have to sell or host parties, there are no gimmicks here. Young Living is just gracious enough to offer this to everyone who decides to give these oils a chance by purchasing the starter kit. We promise you will not regret it. Once you have grabbed your Premium Starter Kit, go here to become more familiar with the oils that will be arriving soon!